The most basic cost driver is customer demand. Without customer demand for products or services, the organization cannot exist. To serve customers, managers and employees make a variety of decisions and take numerous actions. These decisions and actions—undertaken to satisfy customer demand—drives costs. An activity is a unit of work. To serve a customer at a restaurant, for example, a waiter or waitress might perform the following units of work: seat customer and offer menu, take customer order, send order to kitchen, bring food to customer, serve and replenish beverages, determine and bring bill to customer, collect money and give change, clear and reset table. Each of these is an activity, and the performance of each activity consumes resources that cost money. To manage activities and their costs, it is necessary to understand how costs respond to cost drivers, which are the factors that cause or influence costs. While these cost drivers may be classified in a variety of ways, I believe that dividing them into the three categories of structural, organizational, and activity cost drivers, as I am going to present in this post, provides a useful foundation for the study of managerial accounting. Structural Cost Driver – Fundamental choices about the size and scope of operations and Structural technologies employed in delivering products or services to customers. For example: Apple Computer’s decision to enter the online music distribution business. Organizational Cost Drivers – Choices concerning the organization of activities and the involvement of persons inside and outside the organization in decision making. Authorizing lower-level employees to make decisions to solve problems is an example of an organizational cost driver. Activity Cost Drivers – Specific units of work (activities) performed to serve customer needs that consume costly resources. Assembling a product is an example of an activity cost driver. The types of activities and the costs of activities performed to satisfy customer needs are influenced by an organization’s size, its location, the scope of its operations, and the technologies used. Decisions affecting structural cost drivers are made infrequently, and once made, the organization is committed to a course of action that will be difficult to change. Determining the size of stores – This affects the variety of merchandise that can be carried and operating costs. Determining the type of construction – While a lean warehouse type of construction is less expensive, it is not an appropriate setting for selling high-fashion clothing. Determining the location of stores – Locating in a shopping mall can cost more and subject the store to mall regulations but provides for more customer traffic and shared advertising. Determining types of technology to employ in stores – A computerized system for maintaining all inventory and sales data requires a large initial investment and fixed annual operating costs while providing more current information. However, the computerized inventory and sales systems can be less expensive at high sales volumes than a less costly system relying more on clerks taking physical inventory. Like structural cost drivers, organizational cost drivers influence costs by affecting the types of activities and the costs of activities performed to satisfy customer needs. Decisions that affect organizational cost drivers are made within the context of previous decisions affecting structural cost drivers. In a manufacturing organization, previous decisions about plant, equipment, and location are taken as a given when decisions impacting organizational cost drivers are made. Working closely with a limited number of suppliers – This can help achieve proper materials in the proper quantities at the optimal time. Developing linkages with suppliers can also result in suppliers’ initiatives that improve the profitability of both organizations. Providing employees with cost information and authorizing them to make decisions – This helps improve decision speed and reduce costs while making employees more customer oriented. Production employees may, for example, offer product design suggestions that reduce manufacturing costs or reduce defects. Reorganizing the existing equipment in the plant so that sequential operations are closer – This more efficient layout reduces the cost of moving inventory between workstations. Designing components of a product so they can fit together only in the correct manner – This can reduce defects as well as assembly time and cost. Manufacturing a low-volume product on low-speed, general-purpose equipment rather than highspeed, special-purpose equipment – Assuming the special-purpose equipment is more difficult and costly to set up for a new job, this decision can increase operating time and operating cost while reducing setup time and setup cost. Activity cost drivers are specific units of work (activities) performed to serve customer needs that consume costly resources. Several examples of activities in a restaurant were mentioned on the preface. The customer may be outside the organization, such as a client of an advertising firm, or inside the organization, such as an accounting office that receives maintenance services. Because the performance of activities consumes resources and resources cost money, the performance of activities drives costs. The basic decisions concerning which available activities will be used to respond to customer requests precede the actual performance of activities. At the activity level, execution of previous plans and following prescribed activities are important. All of the examples of structural and organizational cost drivers involved making decisions. Identifying the appropriate activity cost driver for a particular cost requires judgment and professional experience. In general, the cost driver should have a logical, causal relationship with costs. In many cases, the identity of the most appropriate activity cost driver, such as miles driven for the cost of automobile gasoline, is apparent. Direct materials, the cost of primary raw materials converted into finished goods, have increased slightly as organizations purchase components they formerly fabricated. The word “direct” is used to indicate costs that are easily or directly traced to a finished product or service. Direct labor, the wages earned by production employees for the time they spend converting raw materials into finished products, has decreased significantly as employees spend less time physically working on products and more time supporting automated production activities. Manufacturing overhead, which includes all manufacturing costs other than direct materials and direct labor, has increased significantly due to automation, product diversity, and product complexity. Changes in the composition of manufacturing costs have implications for the behavior of total costs and the responsiveness of costs to changes in cost drivers. Because direct materials and direct labor vary directly with the number of units, they are easy to measure. In the past, when manufacturing overhead was relatively small, it was possible to assume units of product or service was the primary cost driver. This is no longer true. Units of final product is no longer an adequate explanation of changes in manufacturing overhead for many organizations. The past tendency to ignore overhead, while focusing on direct materials and direct labor, led one researcher to describe overhead-causing activities as the hidden factory. To better understand the hidden factory, several researchers have developed frameworks for categorizing cost-driving activities. The crucial feature of these frameworks is the inclusion of non-unit cost drivers. Depending on the characteristics of a particular organization, as well as management’s information needs, there are an almost unlimited number of cost driver classification schemes. one based on a “manufacturing cost hierarchy“; and a second based on a “customer cost hierarchy“, which will be discussed next. A unit-level activity is performed for each unit of product produced. Oneida Silversmiths manufactures high-quality eating utensils. In the production of forks, the stamping of each fork into the prescribed shape is an example of a unit-level cost driver. A batch-level activity is performed for each batch of product produced. At Oneida Silversmiths, a batch is a number of identical units (such as a fork of a specific design) produced at the same time. Batch-level activities include setting up the machines to stamp each fork in an identical manner, moving the entire batch between workstations (i.e., molding, stamping, and finishing), and inspecting the first unit in the batch to verify that the machines are set up correctly. A product-level activity is performed to support the production of each different type of product. At Oneida Silversmiths, product-level activities for a specific pattern of fork include initially designing the fork, producing and maintaining the mold for the fork, and determining manufacturing operations for the fork. A facility-level activity is performed to maintain general manufacturing capabilities. At Oneida Silversmiths, facility-level activities include plant management, building maintenance, property taxes, and electricity required to sustain the building. When using a cost hierarchy for analyzing and estimating costs, total costs are broken down into the different cost levels in the hierarchy, and a separate cost driver is determined for each level of cost. For example, using the above hierarchy, the costs that are related to the number of units produced (such as direct materials or direct labor) may have direct labor hours or machines hours as the cost driver; whereas, batch costs may be driven by the number of setups of production machines or the number of times materials are move from one machine to another. Other costs may be driven by the number of different products produced. Facility-level costs are generally regarded as fixed costs and do not vary unless capacity is increased or decreased. Classification schemes should be designed to fit the organization and meet user needs. A merchandising organization or the sales division of a manufacturing organization might use the following hierarchy. Unit-level activity: performed for each unit sold. Order-level activity: performed for each sales order. Customer-level activity: performed to obtain or maintain each customer. Market-segment-level activity: performed to obtain or maintain operations in a segment. The market-segment-level activities and their related costs differ with each market segment. 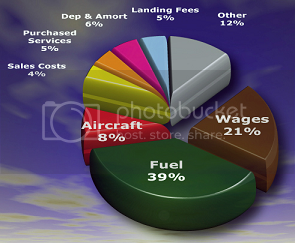 This classification scheme assists in answering questions concerning the profitability of each segment. Project-level activity: performed to support the completion of each project. The possibilities are endless. The important point is that both the cost hierarchy and the costs included in the hierarchy be tailored to meet the specific circumstances of an organization and the interests of management. In managing costs, management makes choices concerning structural and organizational cost drivers. These decisions affect the types of activities required to satisfy customer needs. Because different types of activities have different costs, management’s decisions concerning structural and organizational cost drivers ultimately affect activity costs and profitability. Good decision making at the level of structural and organizational cost drivers requires an understanding of the linkages among the types of cost drivers and costs of different activities, both in unit-level and multi-level in its hierarchies.